Thomsons Lake Physiotherapy is located at Unit 4/850 North Lake Road, Cockburn Central. Parking: There is plenty of free parking located outside and behind the clinic. Parking can be accessed from North Lake Road, however if you are coming from South (i.e. 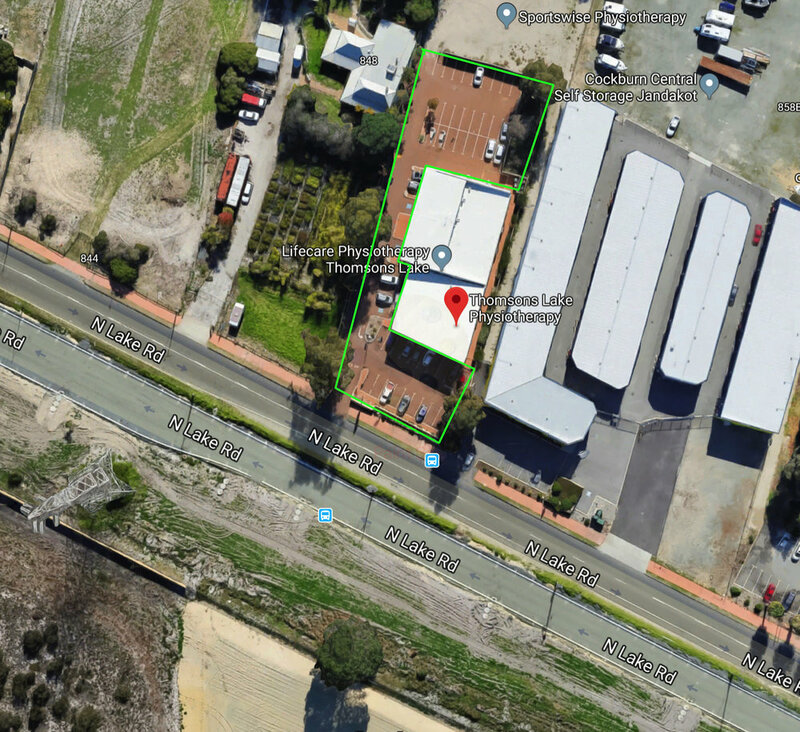 Cockburn Gateway Shopping Centre), you will need to turn left onto North Lake Road and drive approximately 1km to the First Choice Liquor store where you are able to do a U-turn, from there we are 350m up on the left hand side.